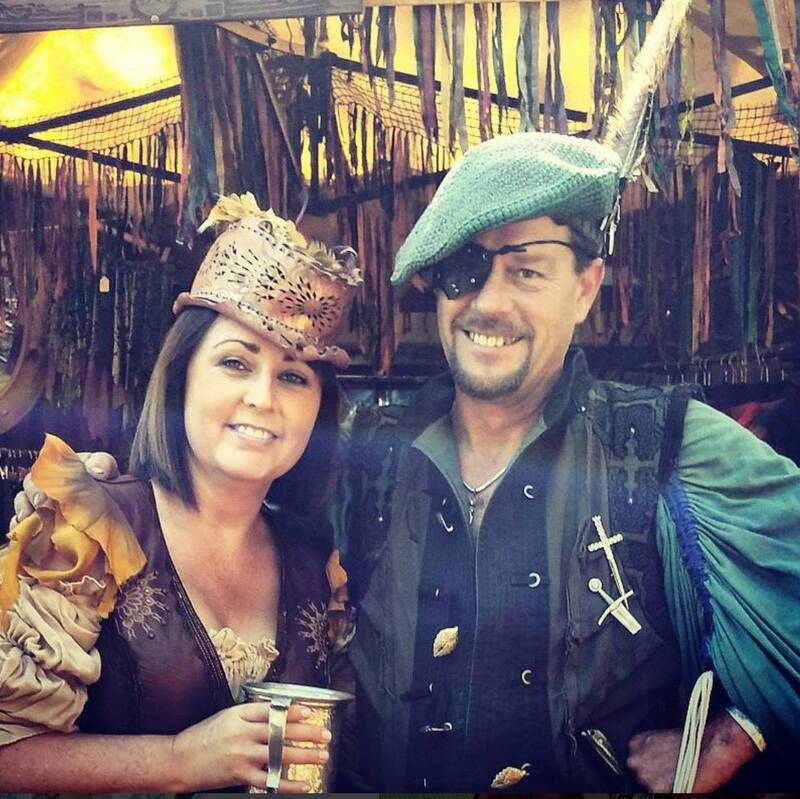 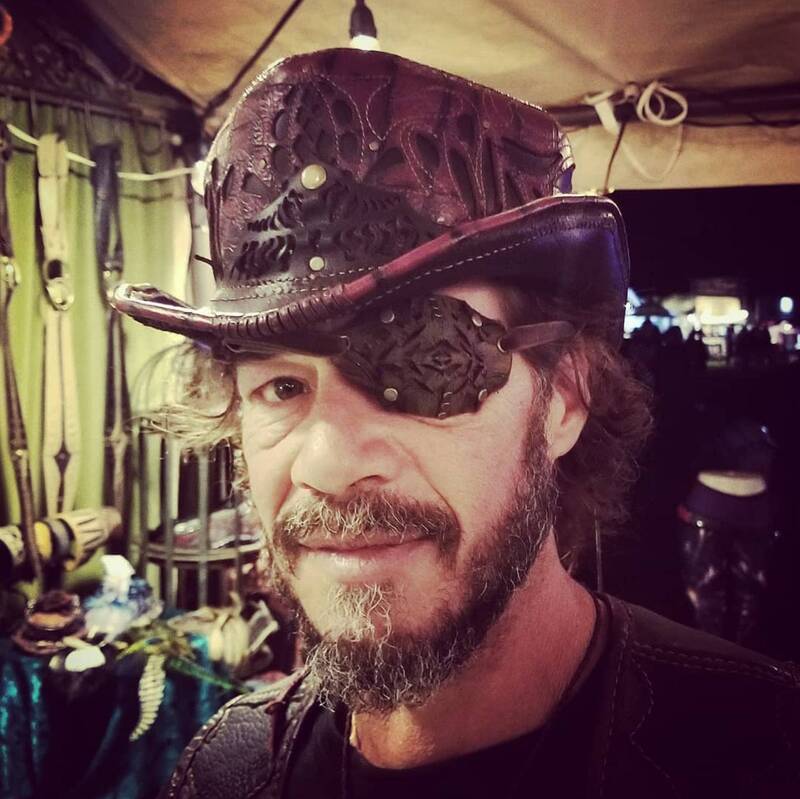 Let me tell you a secret, the night I met Aurelius at Faerieworld's in Oregon (yes, that is where this all began so long ago) he was dressed like a Pirate and well the rest is history. 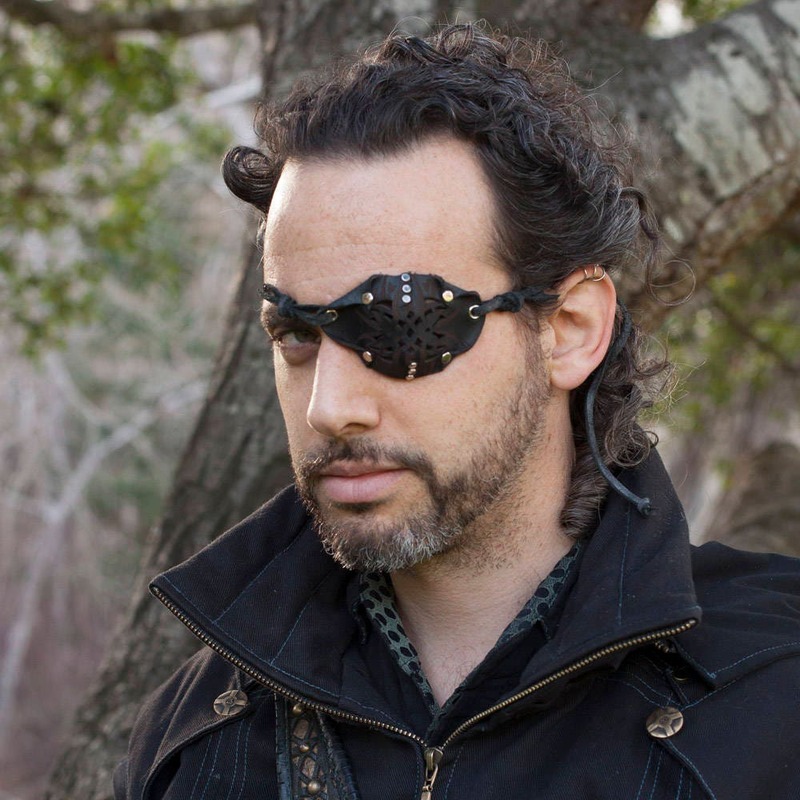 He stole me heart and now we make leather eye patches! 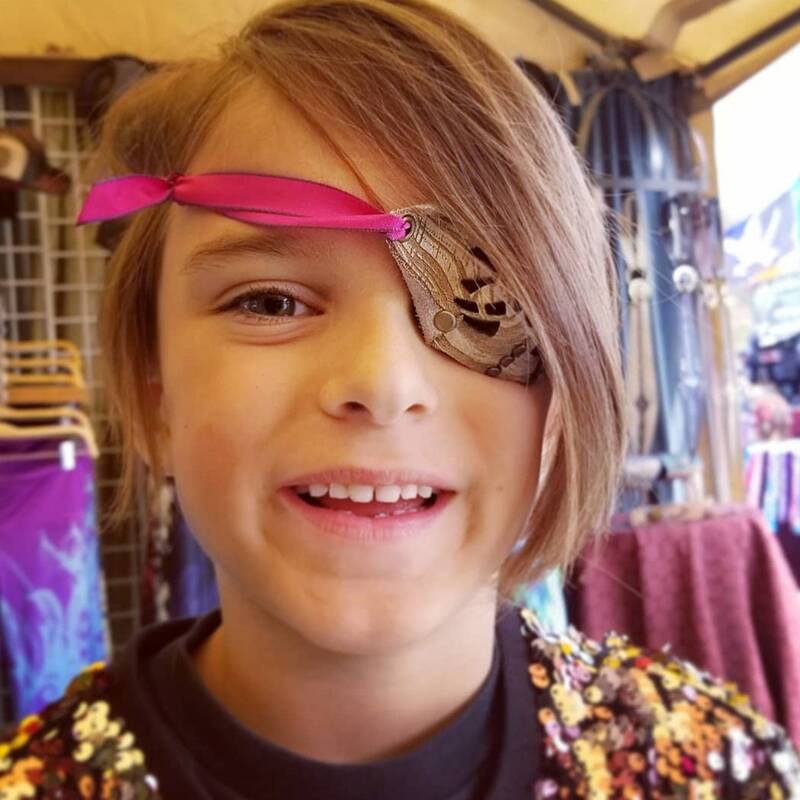 Seriously though, our eye patches are epic! 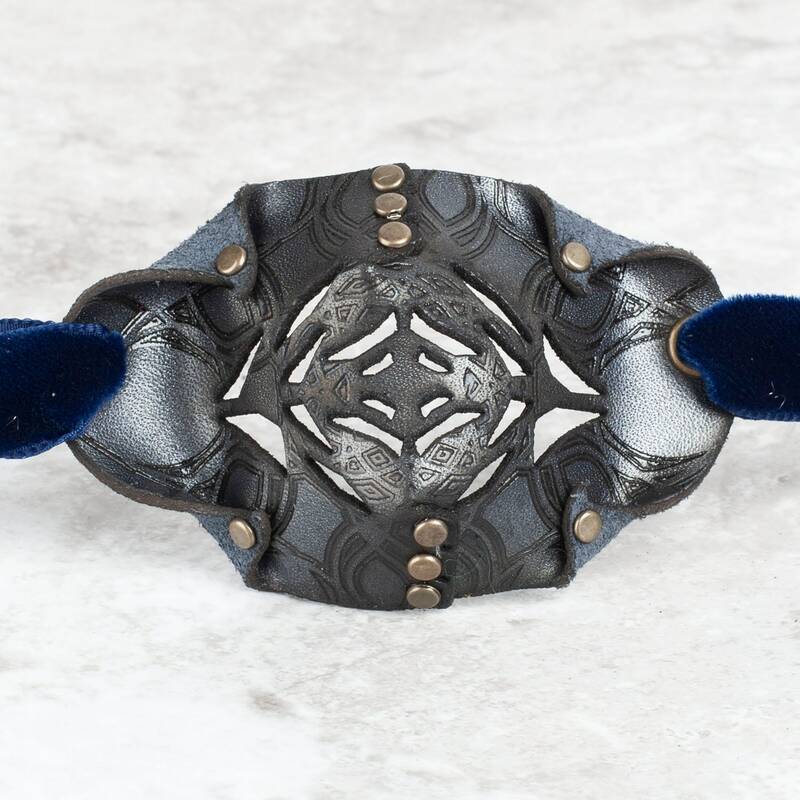 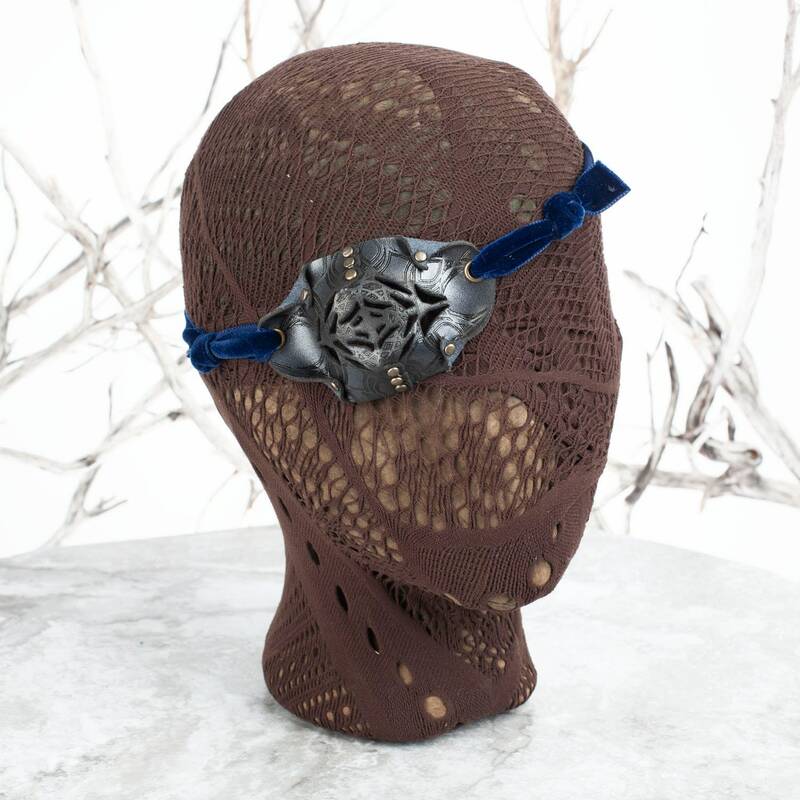 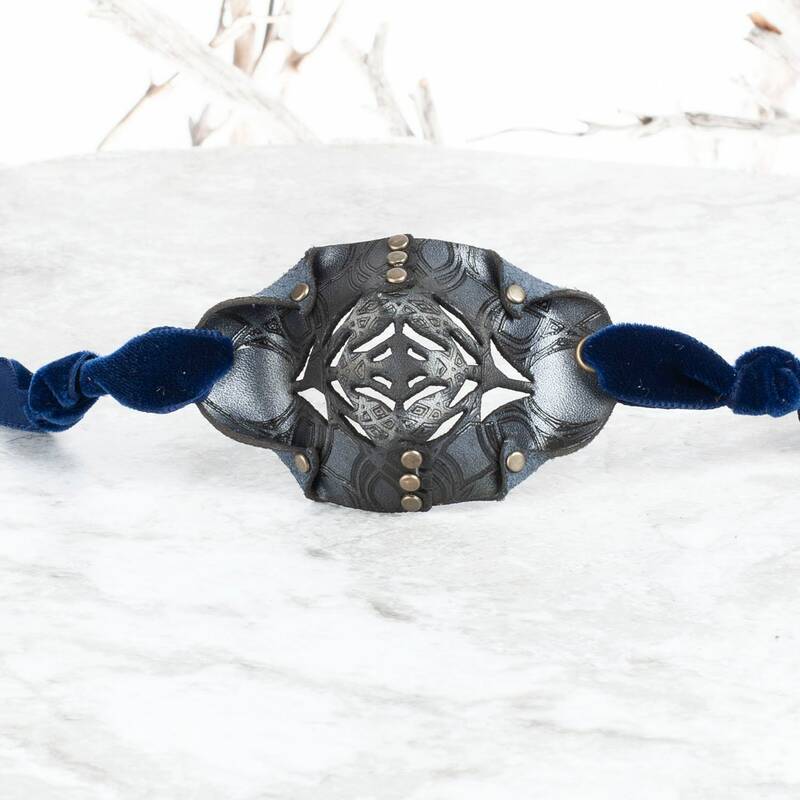 Aside from the fact that they've been featured on ABC's Once Upon A Time Series (see last picture above), the filigree design makes it so you can actually see through it AND no one can tell! 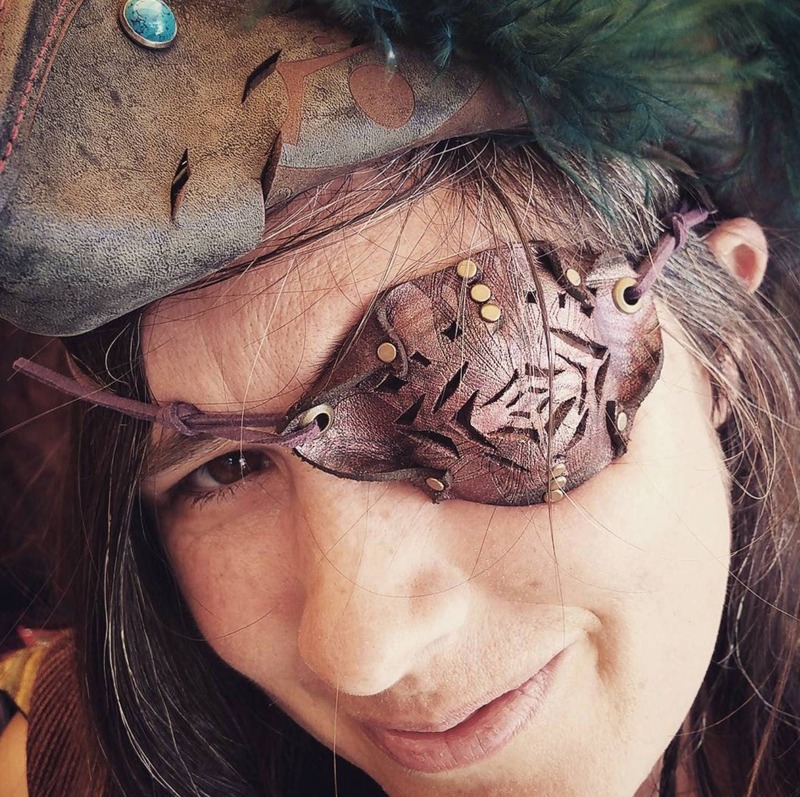 No more depth perception issues or headaches when you are tripping around Ren Faire with your mead. 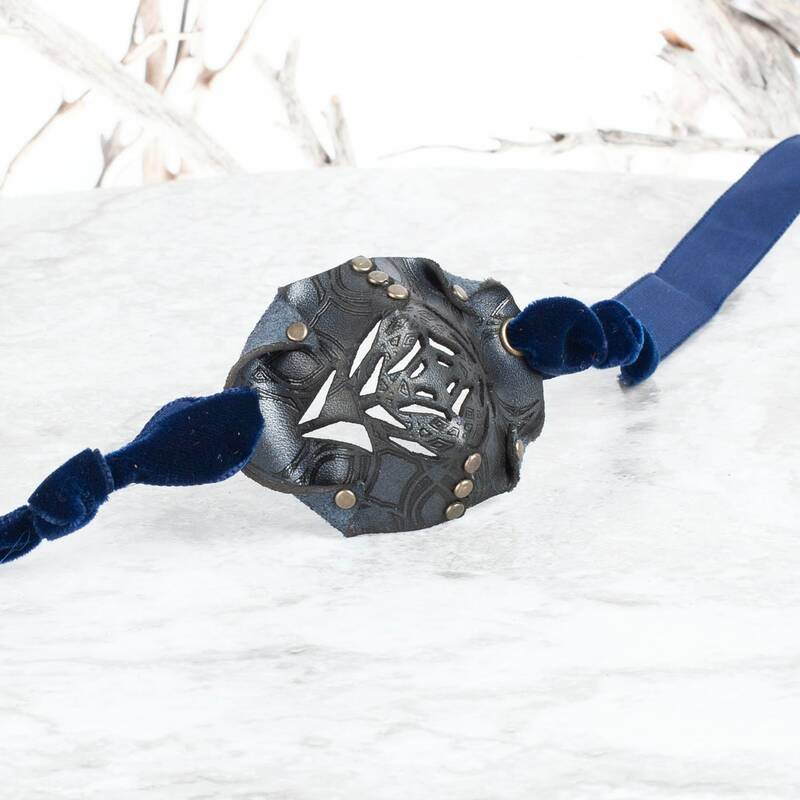 Made of Waterproof Latigo Leather in a Metallic Silvery Blue Color, Art Engraved, Blue Velvet Cord and Silver Nickel Plated Hardware. 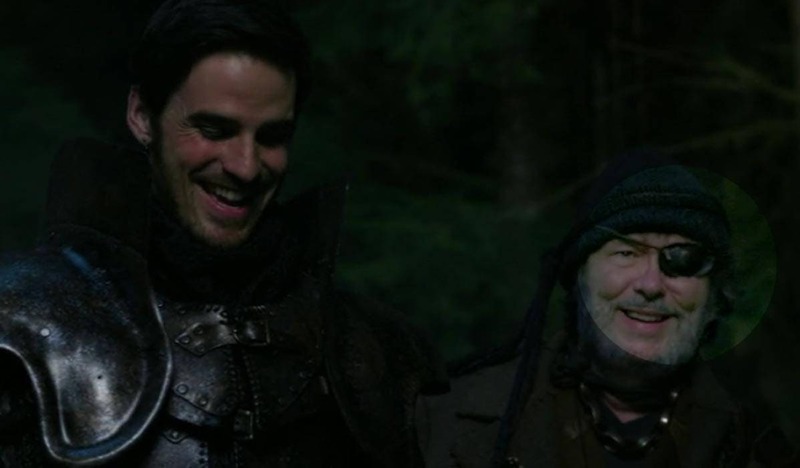 Yarrrrr gonna love it, we promise.